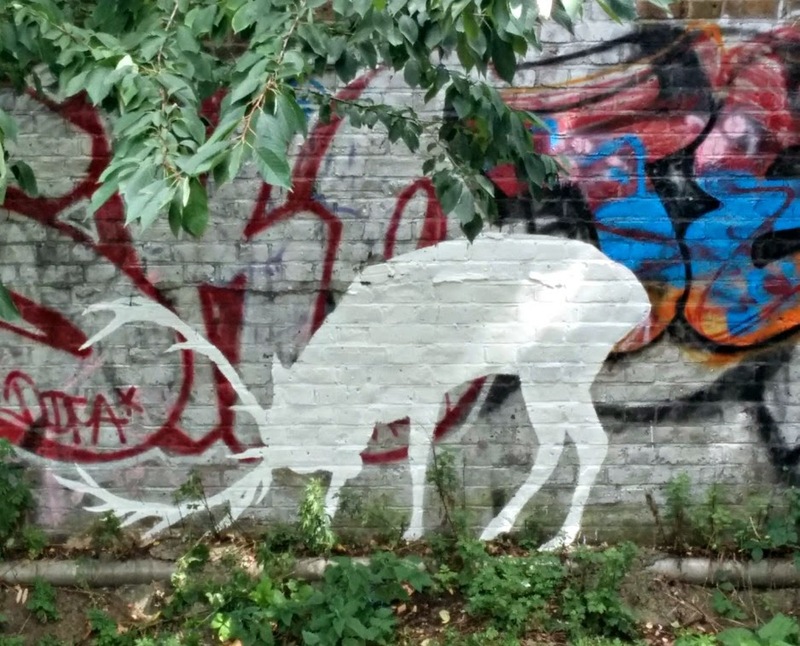 Sightings of the 'Lewisham Natureman' white stag coming in thick and fast. Following last week's Catford appearance, Caroline H. has sent in this photo taken 'on Deptford church street. It;s near the Birds Nest pub at the bottom of Creekside, on the same side of the road as the Crossfields estate'. I think the stag at the old greyhound stadium is no more, it appears the turnstile building has been demolished. Hopefully the dog sign will be reinstalled in time.